Brain Plasticity and Alzheimer's | A Key to Treatment? We know that dementia including Alzheimer’s disease affects the senses and perception. (Read more: How Alzheimer’s Affects Perception) We have looked at some ways that sensory stimulation can affect the brain in beneficial ways. Brainpaths provide direct sensory stimulation to the somatosensory cortex. We can actually see the effects of using Brainpaths in brain scans. 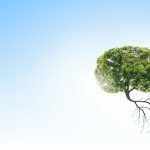 We will look at the way other environmental stimulation affects different parts of our brains in a minute, but you may be asking, “How does stimulation benefit the person who has dementia?” The answer lies in a relatively new understanding of the adult brain and a process called Brain Plasticity. A study published in 2000 found that certain areas of London cabbies brains were bigger than corresponding areas of London bus drivers’ brains. This is one of the earliest studies that hinted at the potential of brain stimulation as a weapon against brain disorders such as Alzheimer’s. One of the first studies¹ to introduce the concept of brain plasticity compared London cab drivers, known as Black cabbies, with their counterparts; London bus drivers. London is a large city; it covers 607 mi². Compare this to Detroit’s 138 mi², Chicago at 234 mi² and New York, which covers 469 mi². London is big. And it’s old! London started to evolve about 2000 years ago when people walked and rode horses everywhere. The crooked winding footpaths and horse trails became the city’s streets. And this confusion is the result – London today (see map below). Twenty-four thousand streets and roads! Fifty thousand places of interest! (I understand that the city’s Planner was fired in about 350 AD, but the damage had already been done.) London cab drivers study for from two to 4 years and longer to pass an exam that has been described as the most difficult test in the world to get their licenses to drive in this mess. They need to know the best way to get from any point in the city to any other point at any time of day and in any traffic and weather condition. The cabbies counterparts in the buses drive the same route every day. Boring, yes, but they don’t have to bother studying for the world’s most difficult exam. The bus drivers need to memorize a route. The cabbies need to memorize the entire city. That takes not only a good memory, but extremely proficient mapping skills. A cabbie needs to be able to see the city in his head, and his own position in relation to that internal map at any moment. 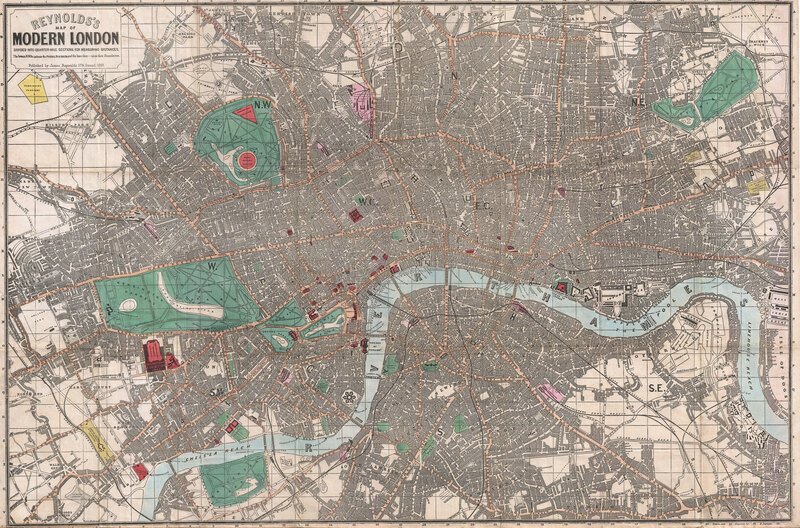 Modern London grew organically from its beginning over 2000 years ago. Then it was just a few footpaths and horse trails. Over the years it has evolved with very little planning into this complex of streets and structures. 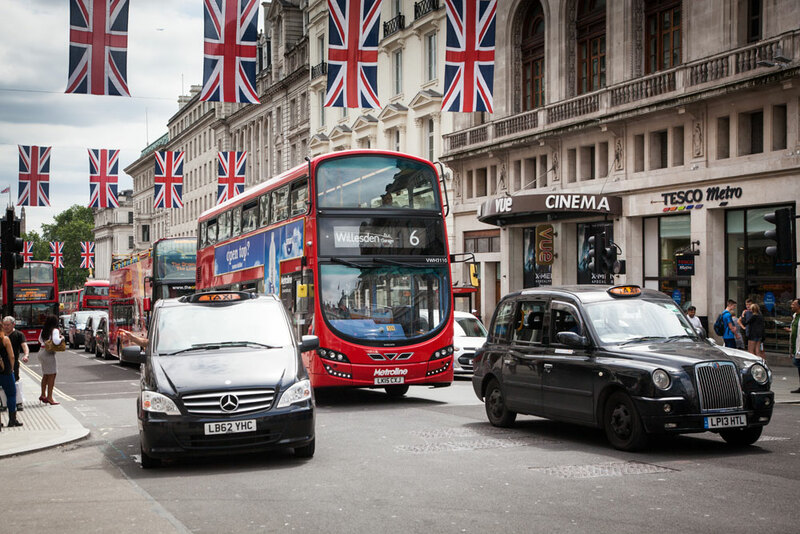 Studying how London taxi drivers navigate the city led to the idea of brain plasticity. When the researches compared the brains of some of these cabbies with a control group of bus drivers they found a significant increase in the size of a part of the hippocampus, the brain structure responsible for creating memories and for spatial mapping. The brains of these cabbies were rearranging themselves to accommodate the need for increased memory and navigational acumen. And the longer they were on the job, the more noticeable was this change. Plasticity is the brain’s ability to rearrange itself. Neurons change, and connections between neurons change. Neurogenesis is the brain’s ability to grow, to add neurons and mass. In adults, this phenomenon is limited to a couple of areas in the brain including part of the hippocampus. It is stimulation, whether from within or without, that drives brain plasticity and neurogenesis. The London Cabbies were stimulated by the task of creating an internal brain-map of the city. We stimulate our brains every time we receive sensory input or challenge ourselves to learn something new. The brain’s ability to adapt is not limitless, and that ability does diminish as we age. It does not, however, disappear. There are several conditions that are known to decrease our risk for dementia, and to slow its progression. We now know that the brain does change and reorganize itself, that it can actually increase in mass depending on need and use. This phenomenon is called brain plasticity. It is one of the most exciting new areas in neuroscience. Brain plasticity is fueled by how the brain is stimulated. Can Brain Plasticity Cure Alzheimer’s? Maybe not. 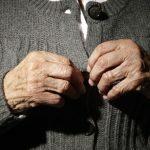 However, there is evidence that the activities that trigger plasticity and neurogenesis can also mitigate some of the symptoms common to dementia. Symptoms like memory loss and disorientation. Moreover, cognitive stimulation like studying for The Knowledge is one of the things that we know with a fair degree of certainty will reduce dementia risk. But, since we will more likely eliminate dementia by preventing it than by rebuilding the damaged brain, plasticity may well play a part in that eventuality. Is it ever too late to start engaging in activities and thinking about your brain as a muscle? I don’t think so. I think more and more evidence, particularly clinical trials evidence, is showing that starting new challenging activities for your mind, such as brain training or complex leisure activities, is linked to better brain health, better cognitive outcomes. Whether that actually leads to lowering the incidence of dementia or the development of dementia, that’s still an open question, but we do know that it improves cognitive function and, in some cases, leads to better brain outcomes. So I think it’s never too late to think of your brain as a muscle and start new exercises for it. Maguire, Spiers, Good, Hartley, Frackowiak, and Burgess. (2003). Navigation Expertise and the Human Hippocampus: A Structural Brain Imaging Analysis. HIPPOCAMPUS 13:208 –217 (2003), 208-217. Sandrine Thuret: You can grow new brain cells. Here’s how. (2015). A fascinating Ted Talk worth watching.